This species occurs naturally at the type locality of Celestichthys margaritatus, Shan state, eastern Myanmar. Females are rarely traded since the highly-coloured males are worth more to collectors. Slightly aberrant male specimen with a greater number of dark spots and blocthes on the body then normal. The same aberrant male as in the previous image, starting to come into breeding condition. In nuptial males the body deepens in colour. The small size of the fish is clearly demonstrated here when compared with the aquatric snails. Male with aberrant colour pattern above, 'normal' male below. Newly-hatched fry at approximately 2 days of age. Tank--bred fry at around 7 days of age. 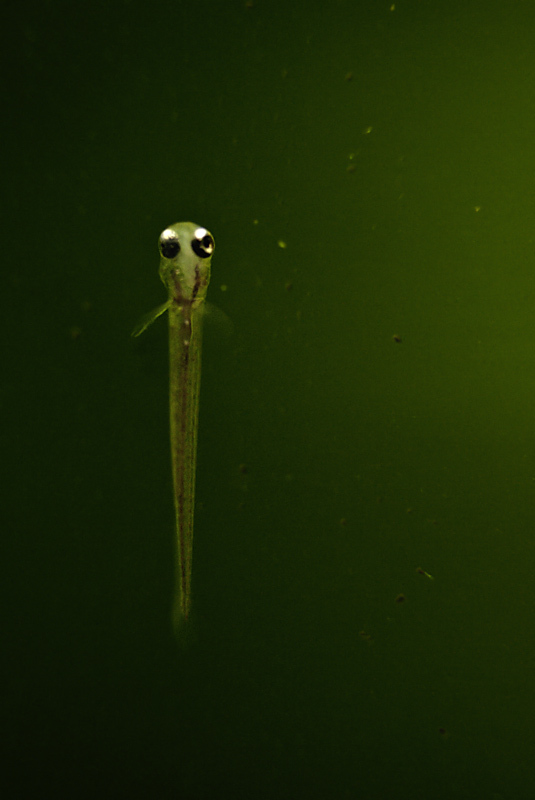 Juvenile at approximately 24 days of age. 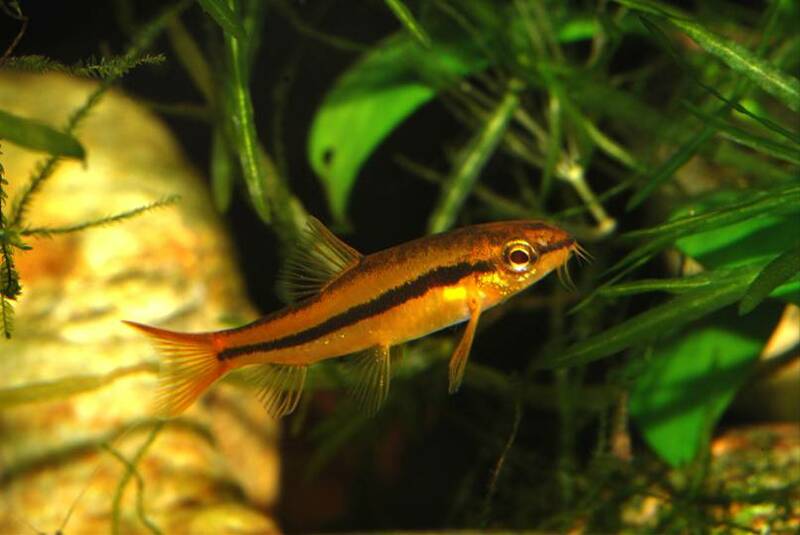 This fish is collected alongside Danio margaritatus which was initially thought restricted to a single locality around 1,040 m AMSL near the town of Hopong in Shan State, eastern Myanmar, but is now known to occur in waters associated with the Salween (aka Thanlwin) River throughout southern Shan and even across the border in northern Thailand. It’s unclear if ‘Y.‘ sp. ‘rosy’ shares the same pattern of distribution but it’s certainly feasible. 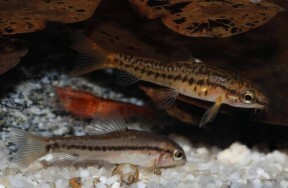 The type locality of Danio margaritatus is an area of permanently-flooded grassland formed by the damming of a spring for agricultural purposes. 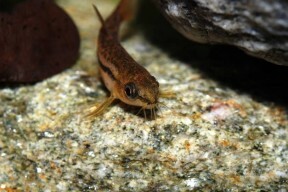 Other sympatric species included Devario sondhii, Microrasbora cf. rubescens, and Channa harcourtbutleri. From images most of the the other habitats look broadly similar, i.e., shallow areas of wetland surrounded by open grassland, though at least one population was supposedly discovered in ‘deep forest’. Base dimensions of 60 ∗ 30 cm or equivalent are required despite its diminutive size since this species is very active and should be maintained in numbers. 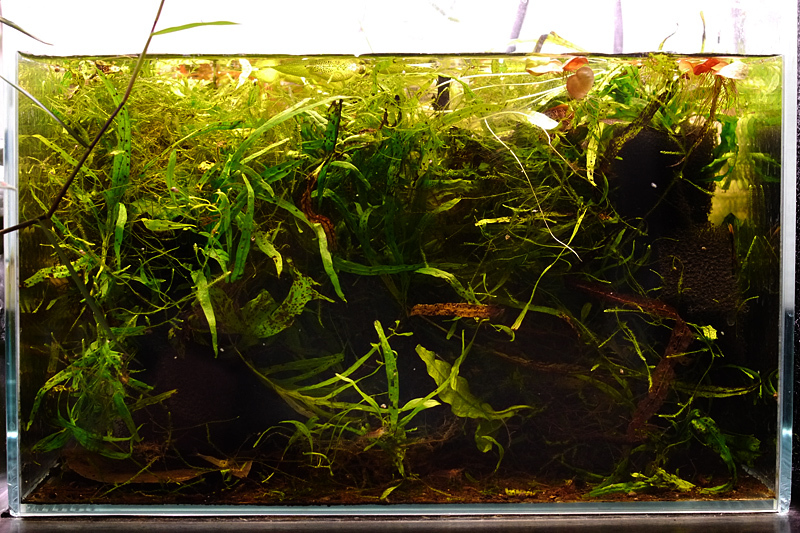 Best kept in a densely-planted tank and an excellent choice for the carefully-aquascaped set-up. The addition of some floating plants and driftwood roots or branches, and leaf litter also seems to be appreciated and adds a more natural feel. The water should be well-oxygenated but not turbulent though a degree of flow is acceptable. 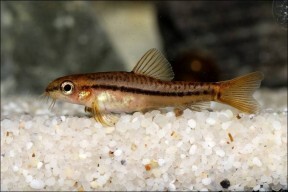 Do not add this fish to a biologically immature aquarium as it can be susceptible to swings in water chemistry, and be sure to perform regular partial water changes to maintain quality. 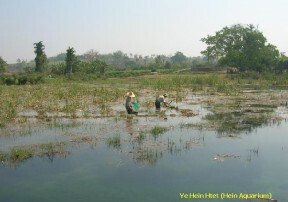 pH: 6.5 – 8.0; a value of 7.3 was recorded at the habitat near Hopong. In the aquarium it must be offered items of a suitable size and quality, particularly live Daphnia, Moina, Artemia nauplii, micro worm, etc. Small or crushed floating dried foods are also accepted and should ideally contain some plant or algal material. It’s often in a semi-emaciated condition post-import and may require several small meals each day in the absence of competitors during the acclimatisation period. Peaceful and surprisingly bold for its size, though still likely to be intimidated or outcompeted for food by much larger or more boisterous tankmates. 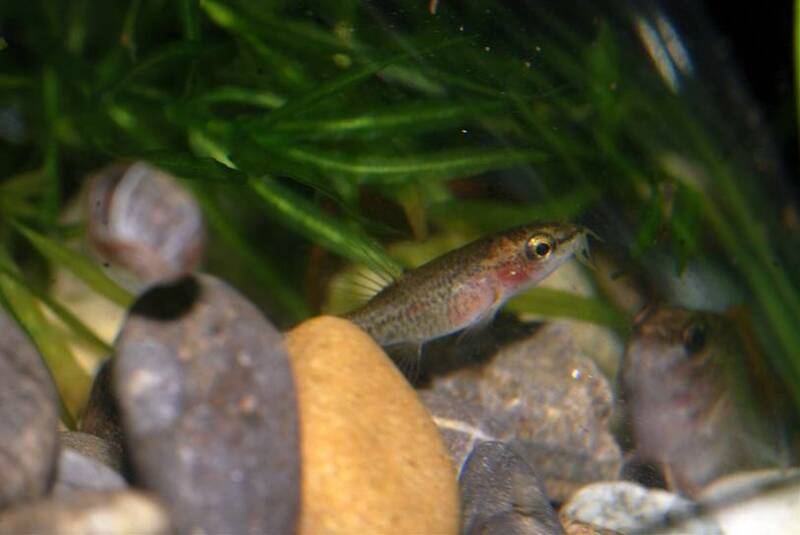 Small cyprinids from genera such as Boraras, Microdevario, Trigonostigma, Tanichthys, and Microrasbora are perhaps the best options, and we suspect many small characids would also be fine. Many peaceful loaches and catfishes should also prove suitable but as always research your choices thoroughly in order to avoid problems. 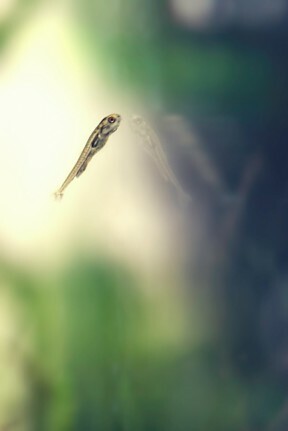 Yunnanilus spp. are highly gregarious and should be kept in a group of at least 8-10 specimens, ideally more. 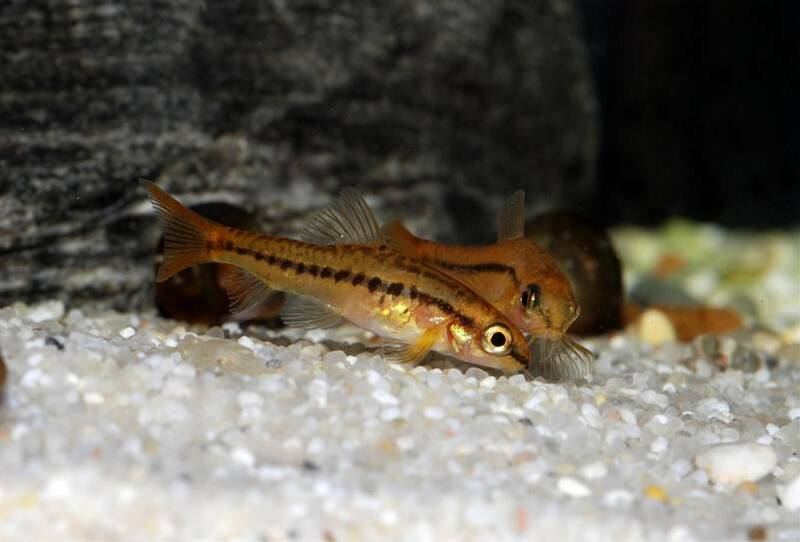 Unlike most loaches they also spend a lot of time in the open, often hovering in midwater, forming schools, and exploring all levels of the aquarium. 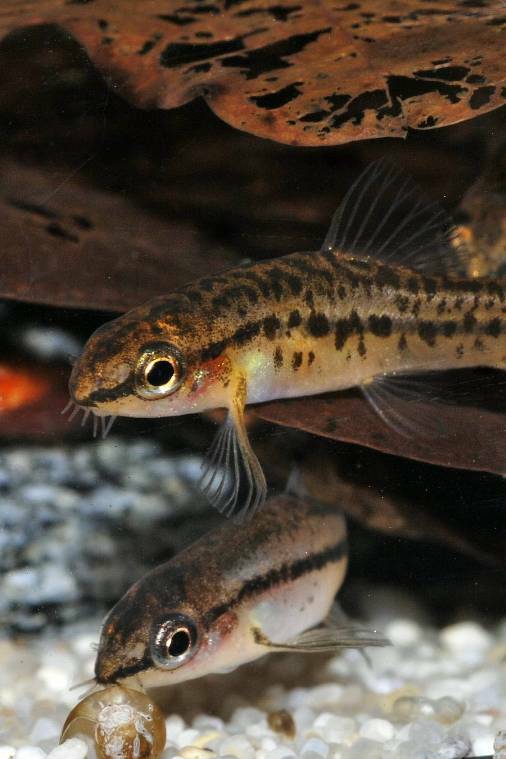 Adult females are noticeably larger and rounder-bellied than males and have a brownish base body colour overlaid with many irregular dark spots and small blotches, plus a darkish lateral stripe which is broken into a series of blotches in some specimens. In the smaller, slimmer males base body colour is pale orange, this becoming much brighter and more intense in nuptial individuals, particularly in the posterior portion of the body. 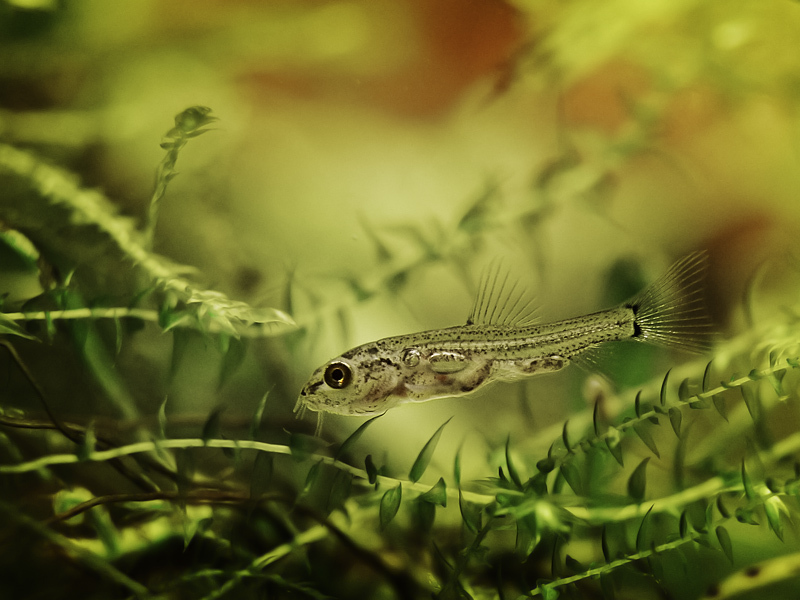 When dark spots are present they tend to be restricted to the dorsal surface of the fish, and the lateral body stripe is usually solid, i.e., unbroken. 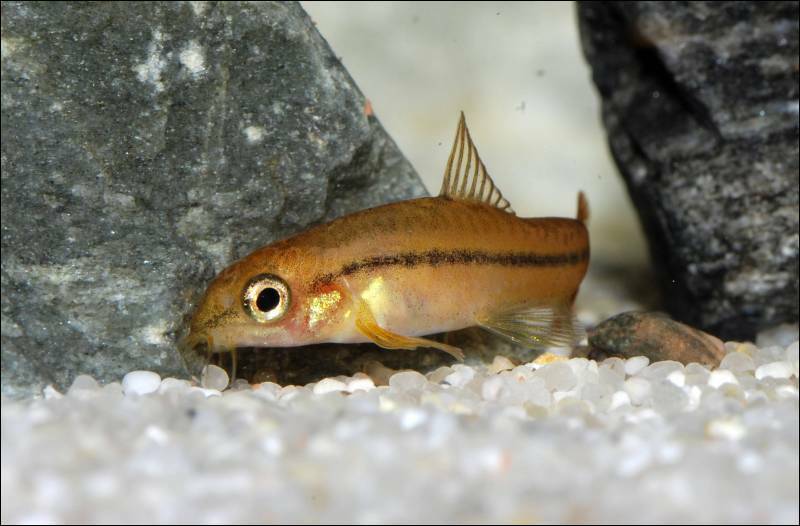 This species is an egg-scattering spawner that shows no parental care, although it can be difficult to find females as often only the colourful males are exported. 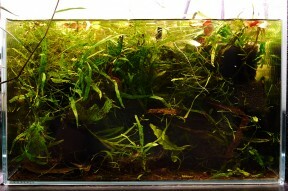 Fill much of the available space with Taxiphyllum or other fine-leaved plant. 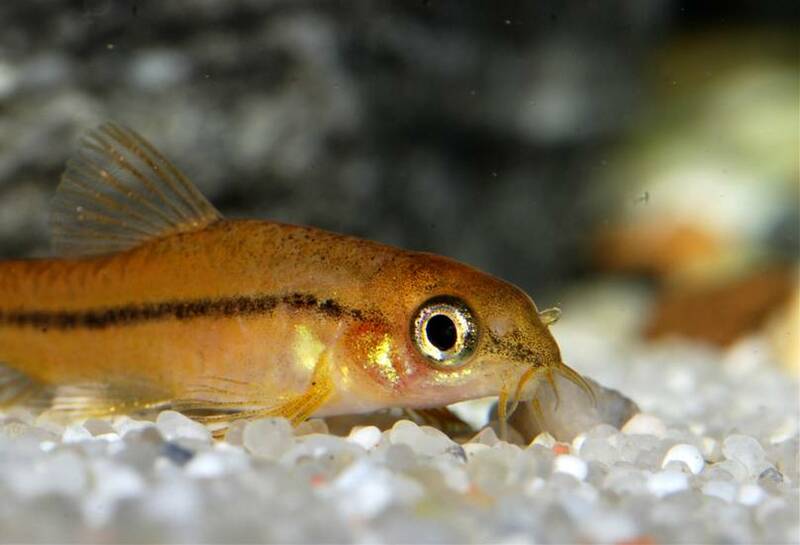 When the adult fish are well-conditioned a single pair or group comprising several of each gender can then be introduced to each container, though it’s worth noting that the more individuals involved the greater the risk of egg predation. The male initiates spawning by approaching a female and appearing to mouth or ‘taste’ the area around her cloaca. If the female is not ready the male quickly loses interest but if receptive the female is driven around the aquarium until the pair settle and eggs are released in small batches of 1-3, these falling onto the substrate or among plant leaves where they become adhered after a few minutes. Several such events may occur before a female is spent. 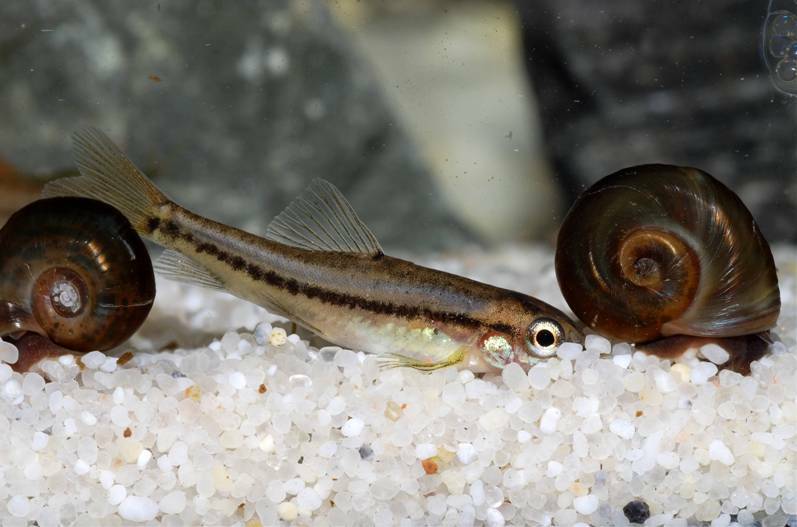 If numbers are limited two or more males may attempt to spawn with a single female simultaneously, and once eggs are spotted the adults are best removed as they will eat any they find. Incubation is temperature-dependant to an extent but is around 24 hours at 28°C/82.4°F with the yolk sac fully-absorbed around 24-36 hours post-hatching. 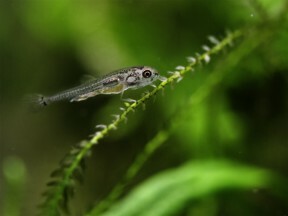 Once the fry are free-swimming initial food should be Paramecium or a proprietary dry food of sufficiently small (5-50 micron) grade, introducing Artemia nauplii, microworm, etc., once they are large enough to accept them. This species continues to be referred to by the fictitious scientific name ‘Tuberoschistura arakensis‘ or as an undescribed Yunnanilus sp. 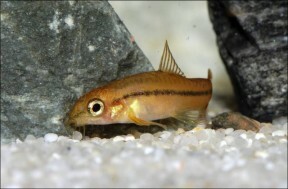 and is also sometimes traded as Y. sp. 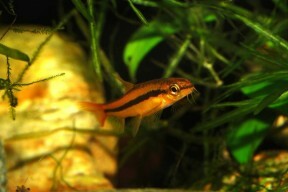 ‘orange’ or ‘Burmese pink loach’ but appears to be a member of the genus Petruichthys as per Kottelat (2012). Yunnanilus is a diverse assemblage of which the majority of members are endemic to the Yunnan plateau, Yunnan province, southern China. Unfortunately we’ve yet to obtain the original descriptions of either of these revalidated genera, and no diagnoses were provided by Kottelat (2012), so we’re unable to provide distinguishing characters at this time. Hi, I have 5 of these in one tank (bought from local fish shop) and they definitely grow larger than than 30 mm. Actually at present they are approx. 50 mm. Please post a photo on the forum, perhaps you discovered a new species! Hi! Does anyone know the life span of these fish?